This is the de havilland canada dhc 8 bombardier dash 8 series 100 200 q200 1983 canada listing page, here you can download the plan, article and see the main thumbnail and extra images. 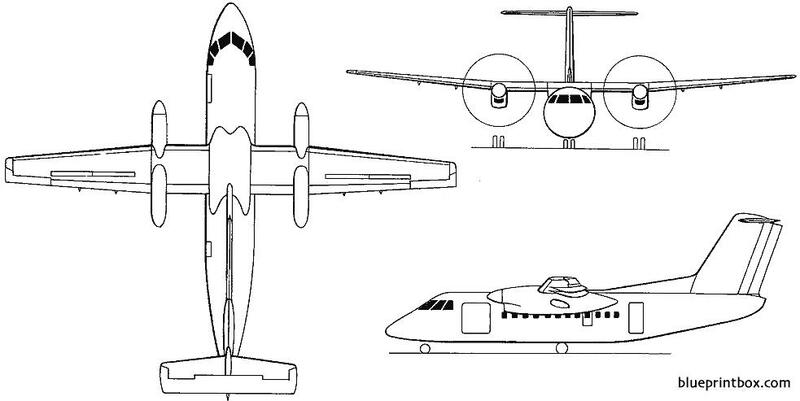 These are the details for the "de havilland canada dhc 8 bombardier dash 8 series 100 200 q200 1983 canada" plan. If you would like to become a plan editor and help us to edit the attributes of all the plans in the website please click the "Edit Attributes" button below. On the real aircraft, and this is info I received from a De Haviland (Bombardier) employee back in the 80's as I was interested in building a scaled up model of the Dash 8.
dihedral is 2.5 degrees at the tips from the point where the wings taper back. I am sure there is more information out there and I will try to fill in some of the other dimensions if I can get around to drawing a scale drawing of the aircraft. This plan is 42.1 KB and was shared by our member Submitted to AeroFred on 24/05/2015 09:58 in the 3 Views of Airplanes for Model Airplane Building category.